The crew of the ‘Sharjah Moon’ are expected to sleep on the deck. Alco Shipping has failed to provide them with bunkers. 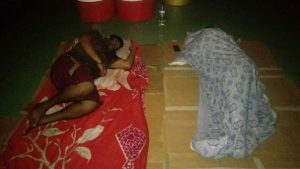 Appalling treatment and gross abuse of human rights by ’employer’ of seafarers abandoned in the UAE.